The heavy-lifting of computing evenly-spaced streamlines is handled by a modified version of streamslice.m, which uses an algorithm quite similar to . 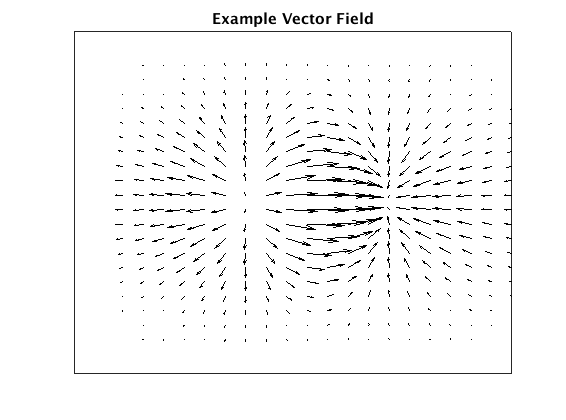 In the remainder of this document, each type of plot is genereated for an example vector field. Enjoy! The vector field for is the gradient of a simple surface with a single local minimum and maximum. 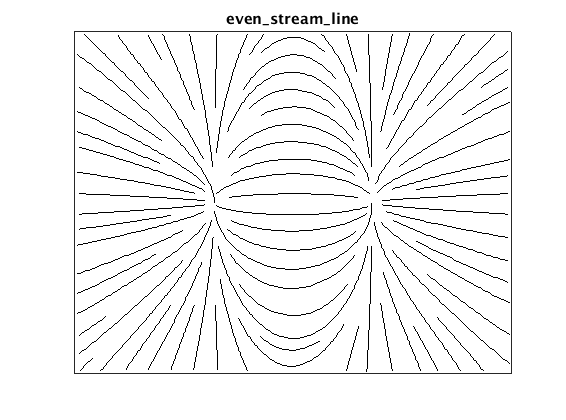 The even_stream_line() function plots evenly spaced streamlines using a simple line style. This function is quite similar to the Mathworks function streamslice(), with added control over the maximum streamline density and better results for high streamline densities. The even_stream_arrow() function adds arrow glyphs to indicate flow direction. 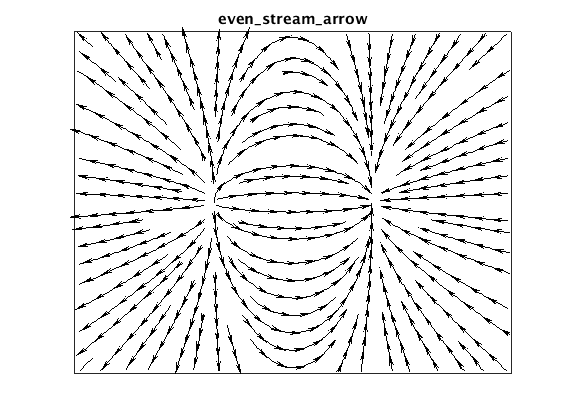 The arrows are plotted using the 'arrow' package by Dr. Erik A. Johnson from the Mathworks File Exchange, which provides some control over arrow appearance. 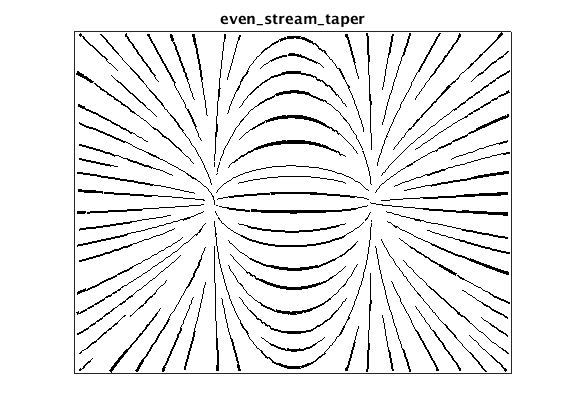 The even_stream_taper() function scales streamline width by the distance to the nearest neighboring line to produce a tapered "hand-drawn" effect. 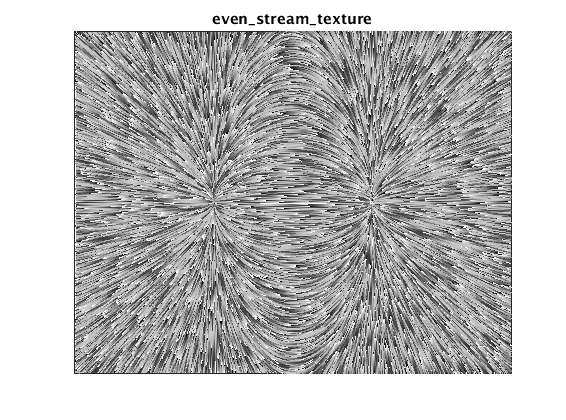 The even_stream_texture() function adds a periodi grayscale pattern along the length of each line. For closely-spaced streamlines, this mimics the popular line-integral-convilution (LIC) visualization method.